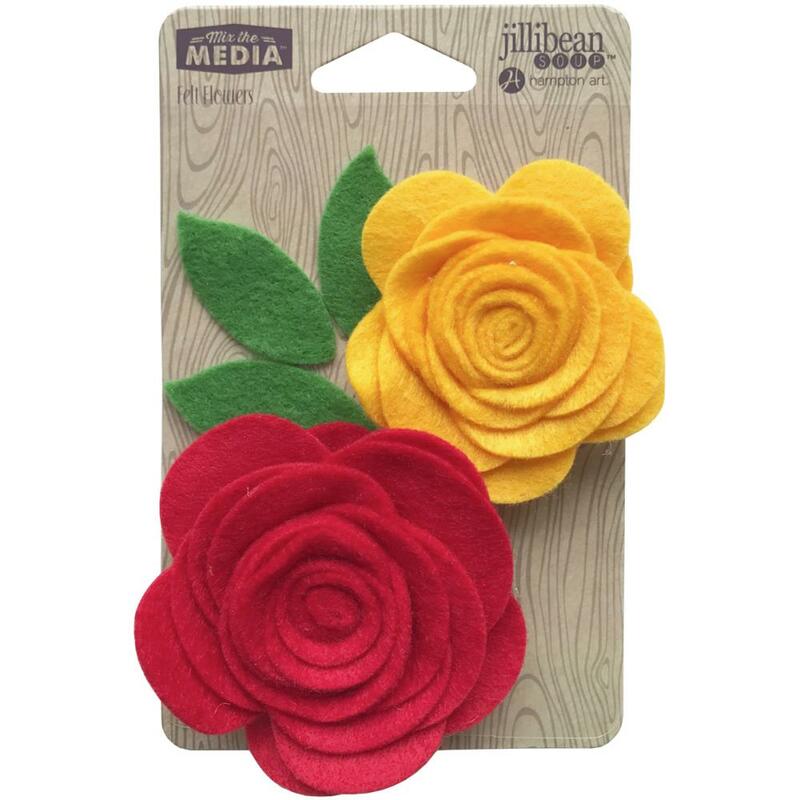 This package contains two (2) Felt Flowers. You'll find two (2) Colors & sizes. Includes Felt Leaves. Part of the Mixed Media Collection by Jillibean Soup.